Listen to the sound and music team of The Dark Knight Rises discuss some of the techniques used in the third and final installment of the Batman movie trilogy directed by Christopher Nolan. Filed Under: Nation of Billions Tagged With: audio, batman, Christopher Nolan, CINEMATIC, composer, editing, effects, Film, film score, hans zimmer, movie, music, music producer, production, recording, Richard King, sound, sound design, studio, summer blockbuster, the dark knight rises, trilogy, u.s. 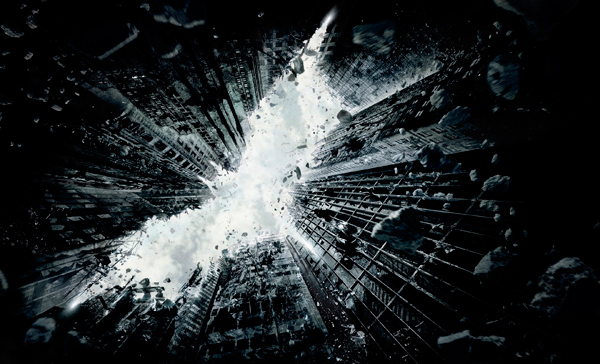 Check out the soundtrack to The Dark Knight Rises, the third in the Batman franchise trilogy directed by Christopher Nolan. The original motion picture soundtrack has been composed by OG Hans Zimmer and you can stream it below in its entirety. And fear not, there are no spoilers. If you want more, watch the 13 minute featurette on the making of the film. 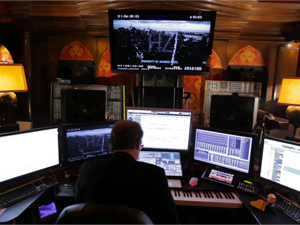 Hans Zimmer’s Studio is Nuts! Studio and photo geeks this one’s for you…check out these surreal photos of Hans Zimmer’s California studio that have surfaced. Shot with a Nikon D3X by photographer Trey Ratcliff and using HDR technique these shots give you a dramatic and very personal inside look of German film composer Hans Zimmer’s creative laboratory. Hans has scored over 100 films including Gladiator, Batman Begins, Pirates of the Caribbean, The Ring, The Dark Knight, Angels & Demons and The Da Vinci Code. 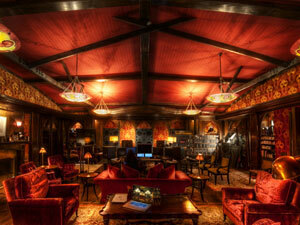 This is probably the most gothic and dramatic recording studio we’ve ever seen!